DOBTECH DOB T1 Smart Translation Earphone Bluetooth Earbuds - FREE SHIPPING! 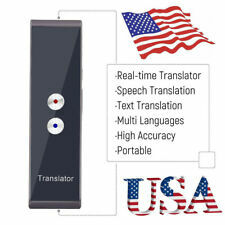 TRAVIS ONE Translator - Excellent - Never Used. For professional translators, tutors, educators, and students, electronic dictionaries are essential tools for work and personal development. 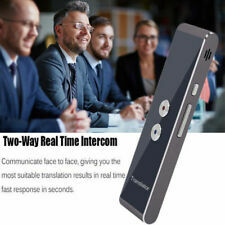 An electronic dictionary can provide translations of high quality and complexity. Electronic dictionaries come in basic, intermediate and advanced versions with varying features and content. What is an electronic dictionary? 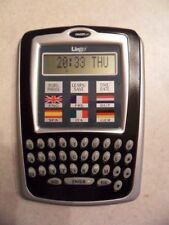 An electronic dictionary is a handheld device with a screen and a keyboard. The device holds entire dictionaries including jargon, learning games, and other linguistic elements. Some dictionaries can hold more than 15 different dictionaries or more than one language set. 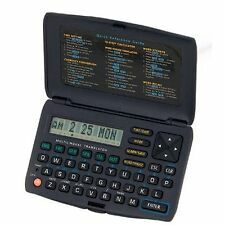 Electronic dictionaries come in different styles with basic or advanced features. An English dictionary can have the entire Merriam-Webster dictionary as content. 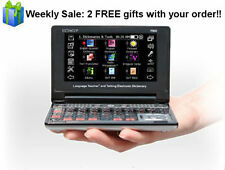 What are the advantages of using an electronic dictionary? An electronic dictionary does not only translate a word or two. It can translate entire sentences correctly. It can offer a full, concise definition. 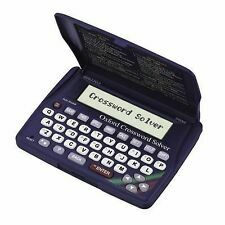 If you are stuck on a crossword or anagram, the handy thesaurus could get you unstuck. For studying, the ability to play back the translation is useful in learning phonetic pronunciation. For people traveling to a foreign country, they can type a question into the dictionary in their native language and have it translated correctly into the foreign language. An electronic version can work with wording specific to professions, such as medicine or law. An electronic dictionary's speed in finding the right definition can be fast. 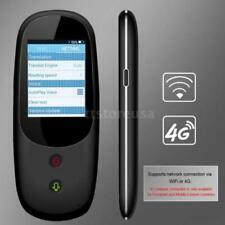 It has a long battery life between 70 to 150 hours before the batteries need to be changed or charged. What kinds of advanced features does an electronic dictionary have? 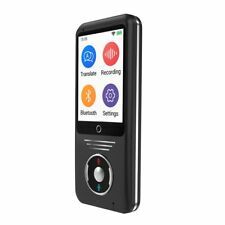 An advanced electronic dictionary is designed for in-depth language education or for translator work. Most have a thesaurus for locating synonyms. Most English dictionaries also support the Oxford dictionary. Playback: Concise translations are played back using text to speech technology or actual voice recordings of native speakers. Jump Function: Instead of starting over for each translation, the user can jump or choose a word from the existing definition. Flashcard and Games: These serve to reinforce learning and memorization. 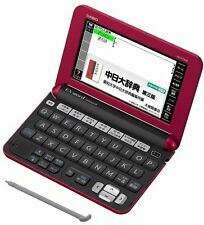 Highlighting and Notes: Some dictionary devices allow you to make notes directly or to highlight words for reference. Built-in Organizer: Useful to travelers to keep track of currency conversions and time zones.